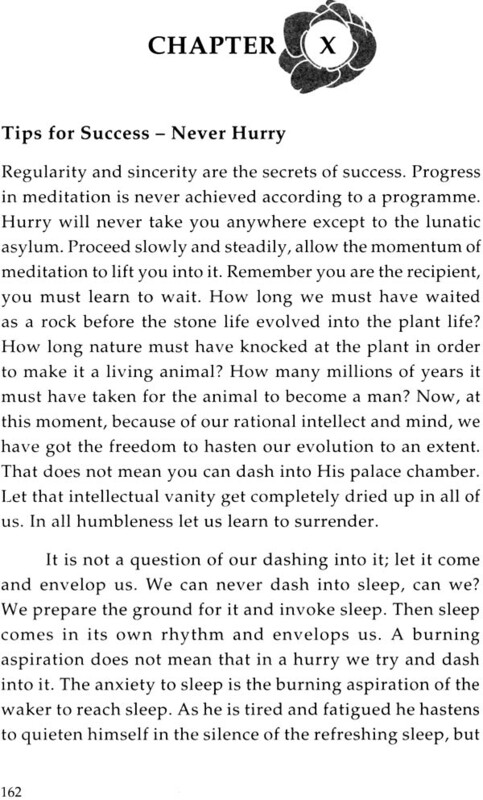 In an age where skeptic youngsters are turning away from spirituality, there is a great need for a clear, systematic and logical explanation of the ancient yet immensely relevant teachings of Vedanta. 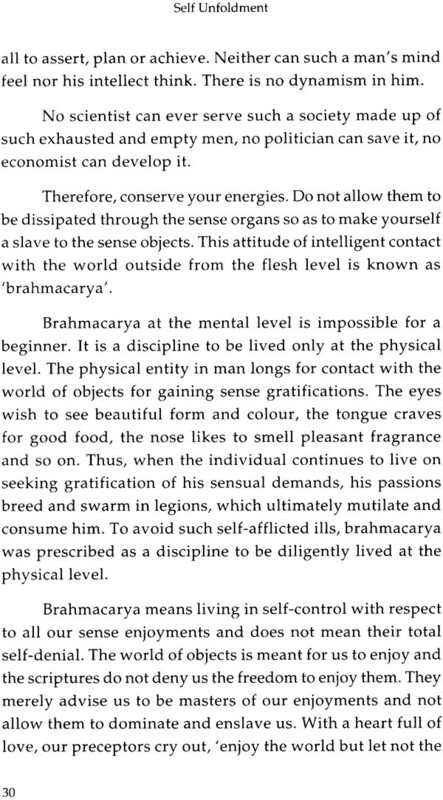 That is exactly what Swami Chinmayananda has given us in Self Unfoldment. Using a step –by –step analysis, profound language and applicable examples, he takes us from fundamental principles to the very highest philosophical truths in this timeless masterpiece. 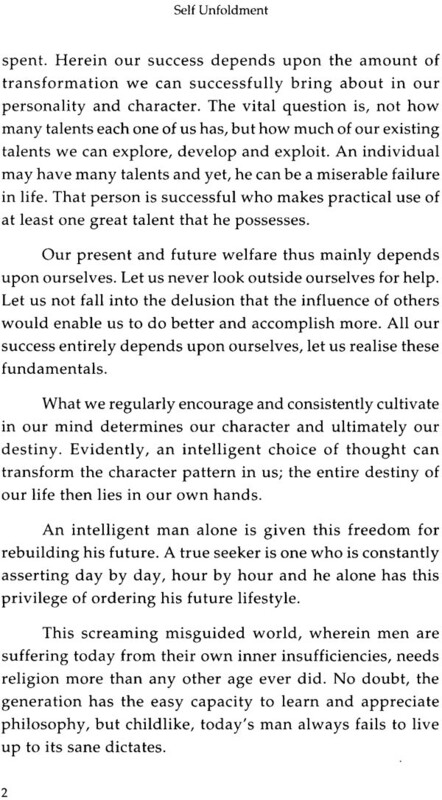 Self Unfoldment has inspired thousands of young people over the years, bringing out the noblest and best in them. Hailed as the second Swami Vivekananda, Pujya Gurudev Swami Chinmayananda (1916-1993) has left a great legacy behind for mankind. On realising the true purpose of life, he worked tirelessly and with tremendous energy for more than four decades to spread the message of Vedanta. A great orator, writer, leader, patriot and spiritual giant, he is one of the finest representatives of Indian spiritual heritage. 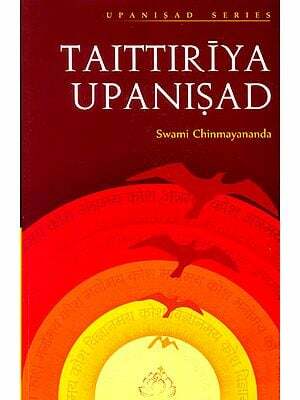 The sprawling worldwide organisation of Chinmaya Mission carries on the torch lit by this great saint. When a new born baby enters this world of endless space all around, it suffers from the crunching atmospheric pressure and therefore feels lost, confused, confounded and even utterly miserable. Even more poignantly conscious would be the confusions, discomforts which a seeker must feel when he first enters the spiritual world. 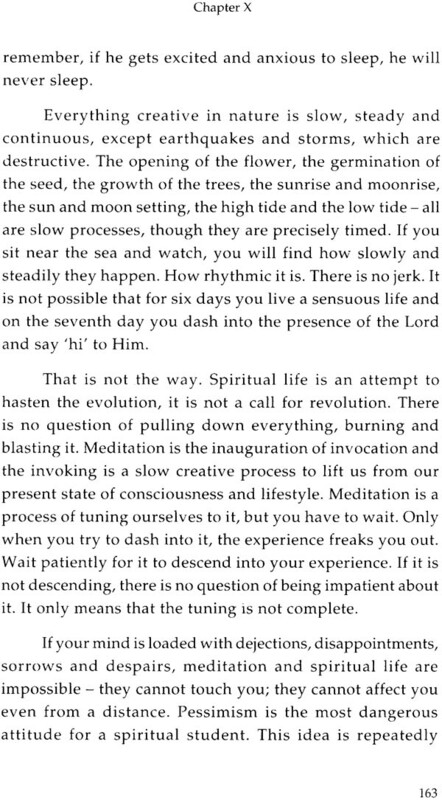 He has left the comforts of his egocentred, desire prompted, lust-seeking world based upon his sense of possession, ownership and vanities, but he has not yet arrived in the world of understanding, let alone the experience of the rhythm of the Self Divine. As the child grows and picks up more and more understanding of the world around him, it grows to be more and more at ease with the endless worlds of things and beings. 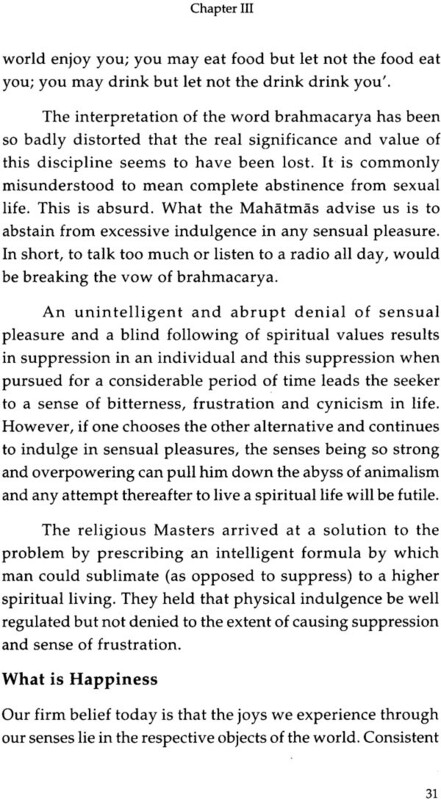 So too, the seeker can discover his inner peace and joyous enthusiasm only when he continues his diligent enquiry, discovers and learns to perceive the logical rhythm and the scientific contents of this apparently crazy confusion of happenings and equally brutal behaviour of things and beings around him. 'Life is a tragedy to those who feel; life is a comedy to those who think', sings the poet and it is so true! In order to understand nature and her behaviour, material scientists have been observing the objective phenomena and studying them diligently for centuries. The rsis of yore pursued a different system of study. They turned their attention on the subjective Self and studied the world around them from the subjective standpoint. 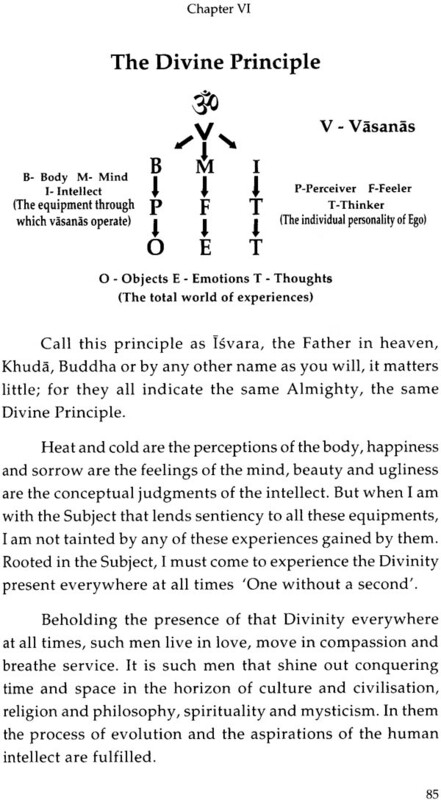 This subjective study constitutes the science of Reality (brahmavidya). 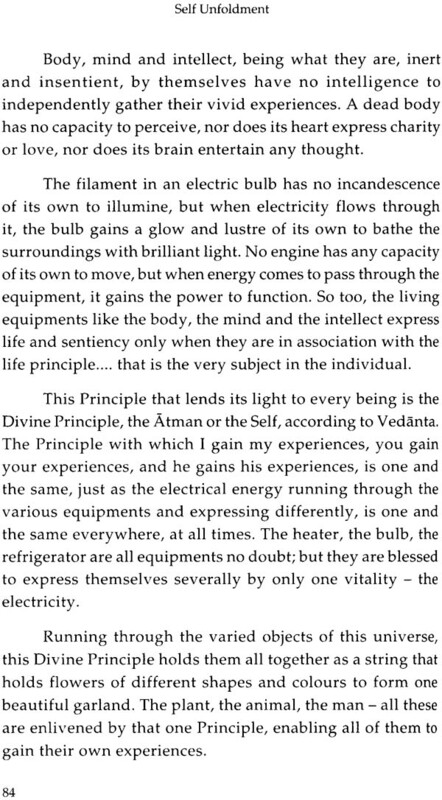 This is the theme and content of Vedanta. I must congratulate Sri Kerala Varma Thampuran, secretary of Chinmaya Mission, Bangalore who has so intelligently compiled the fundamentals in my own words, gathering them from my books and recorded talks, published or pronounced during the past twenty or more years. I congratulate Sri Thampuran especially because of his high sense of purpose that seems to have prompted him to undertake this compilation. Chinmaya Mission is in a big way now entering into a very tender and delicate arena of work. 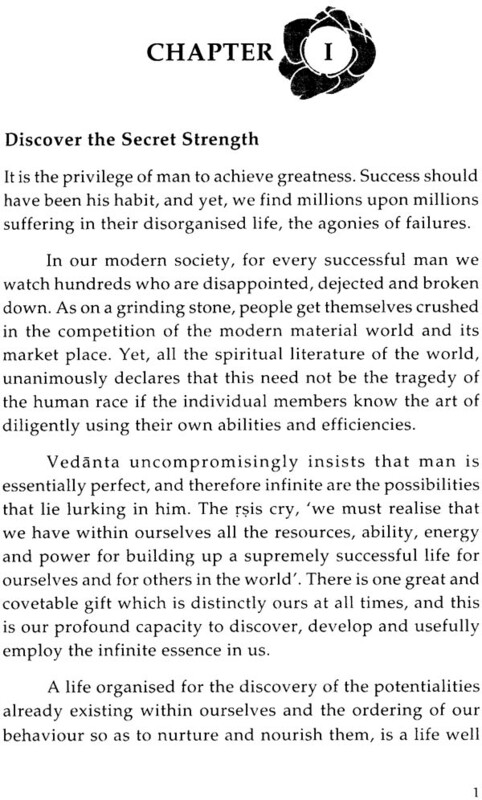 To impart ideas and ideals of Vedanta, in all their uncompromising mysticism to the modern educated teenagers of the world is a highly sensitive and supremely delicate art. I could not have entered into this sacred arena of work without a team of sensitive workers well poised in their own inner understanding and chaste in their spiritual dedication. Now the time has come and I prescribe this textbook for their study and as guidelines for their group leaders. While reading through the manuscript I have tried to gear it up to make it exhaustive, clear and effective to the modern university educated, scientific minded, emotionally secular and intellectually arrogant, sceptic young boys and girls of the world. In preparing this manuscript while I was at New York and Boston, many dedicated, enthusiastic boys and girls helped me. Central Chinmaya Mission Trust of India and Chinmaya Publications (West) of California are extremely grateful to them all.